Agriculture is a major livelihood strategy in the Nile Basin, sustaining tens of millions of people. It provides occupations for more than 75% of the total labour force and contributes to onethird of the GDP in the basin. An estimated 5.4 million hectares of land is under irrigation basin- wide, where over 97% of this area is in Egypt and Sudan. The actual area cultivated on average is approximately 6.4 million hectares. The total estimated annual irrigation water demand for irrigation is approximately 85 BCM; the actual basin-wide withdrawal of water from the Nile for irrigation is estimated as 82.2 BCM. In few irrigation schemes, due to mainly lack of sufficient water storage, all the irrigation water requirements are not met. Water scarcity in terms of both physical water scarcity and economic water scarcity remains the major limiting factor for agricultural development in the basin. Productivity is highly influenced by spatial variations of rainfall in the rain-fed system while in the irrigated areas scheme management is the main determining factor in the productivity variation. Energy is vital to the future growth of the Nile Basin riparian states. The per capita energy consumption in the Nile riparian states, except Egypt, is below the requirements for rural supply in sub Saharan Africa (250kWh/ capita/year) which calls for increased production. Hydroelectric power is key in meeting the energy deficit in the partner states. The current installed capacity of hydropower on the Nile is estimated at 5660MW of which 40% is generated in Egypt. This is followed by Sudan (28%) and Ethiopia (18%). The topography of the Nile provides opportunities for power generation, especially Ethiopia. Hydropower is a major water user in the Nile, relying on water passing through turbines to generate electricity. Most power plants within the Nile are run of the river. However water can be consumed via seepage and evaporation from the reservoirs created for hydropower facilities. Factors determining the amount of consumed water – climate, reservoir design and allocations to other uses – are highly site-specific and variable. Nile Basin Water Resources Atlas / 171 expected to add more than 4600 circuit kilometers of new transmission lines at various voltage levels in the riparian states of Ethiopia, Uganda, Kenya, Tanzania, Rwanda, Burundi, DRC, South Sudan, and Djibouti (outside NBI). Such interconnection projects allow utilities to share reserve margins across a wider operating area, thus reducing the need for costly installed capacity to meet reserve requirements. As example the 500 kV HVDC Eastern Electricity Highway Project under the Eastern Africa Power Integration Program will allow Kenya to purchase relatively cheaper hydropower energy from Ethiopia and support Ethiopia’s system when water is scarce. The per capita water availability among the Nile riparian states is decreasing, due to rapid population growth, urbanization and inadequate investment of riparian states in hydraulic infrastructure over the last four decades. The very low per capita water storage capacity available to the Riparian States, Kenya (103 m3/capita) and Ethiopia (38 m3/capita), clearly illustrates the risks the countries are facing due to the high seasonality of the Nile and its tributaries, especially those in the Eastern Nile. This exposes Nile basin riparian states to flood and drought risks. Even more difficult hydrology is in the Blue Nile system, where rainfall is markedly seasonal – a short season of torrential rain followed by a long dry season which requires the storage of water. Perhaps most difficult of all is a combination of extreme seasonality (intra-annual) and variability (inter-annual) – characteristics of many of the Nile riparian states which affects the Nile riparian state economies. The total water demand for Municipal and Industrial uses has been estimated at 12,900 MCM per year for the whole Nile Basin. Nearly 97% of this demand occurs in Egypt. Nearly 97% of this demand occurs in Egypt. 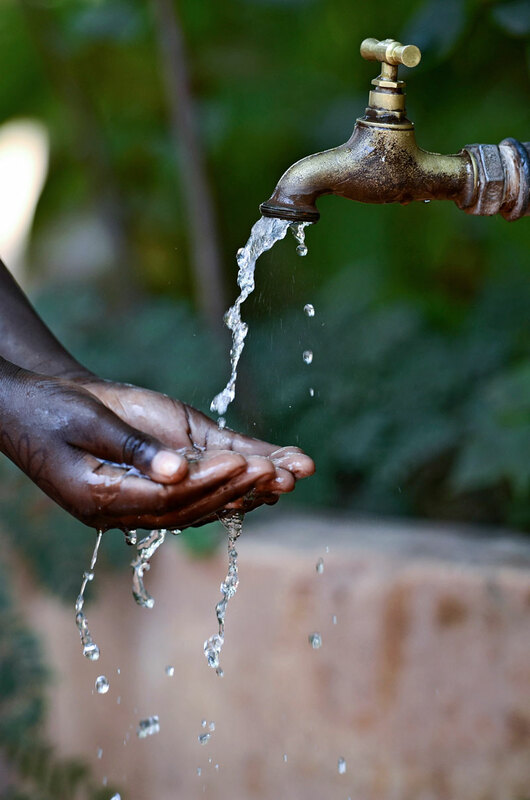 While population in the Nile basin riparian states is estimated to nearly double by 2030, domestic water demand is expected to grow fivefold to five to six-fold during the same period. Although fisheries are usually non consumptive users of water, they require particular quantities and seasonal timing of flows in rivers and their dependent wetlands, lakes, and estuaries. Freshwater fish resources in the Nile basin are probably among the most resilient harvestable natural resources, provided their habitat, including the quantity, timing, and variability of river flow, is maintained. The Nile Basin annual fresh fish production is estimated at three million tons of which 57% is apportioned to capture fisheries in the lakes and rivers. The total fisheries capture is estimated at three million tons annually in the Nile riparian states (WDI, 2016). Egypt has the greatest yield in fisheries production at 50%, followed by Uganda 19% and Tanzania 12%. There has been a long history of water transport on Lake Victoria, contributing to domestic and international trade within the lake basin. However, deterioration of train service severely affected rail networks and the rail-dependant lake transport. Most cargo and passengers are now moving by road around the lake, whose economic life decreased. As for South Sudan, navigation is also a long established practice, although it suffered during the South/North political conflict. Cheaper and safer than roads, it now represents a mode of considerable importance for the country developing transport sector.